Happy Friday, Y'all! I hope you had a fun 4th of July! I'm still on vacation so today I have a guest post from the lovely Lesley Kennedy, Managing Editor of the ShopAtHome.com Online Shopping Report. ShopAtHome.com is a really cool site that offers coupons and cash back. As an avid online shopper, I was thrilled to find another cash back site! I learned about this site a few weeks ago and invited Lesley to do a guest post. 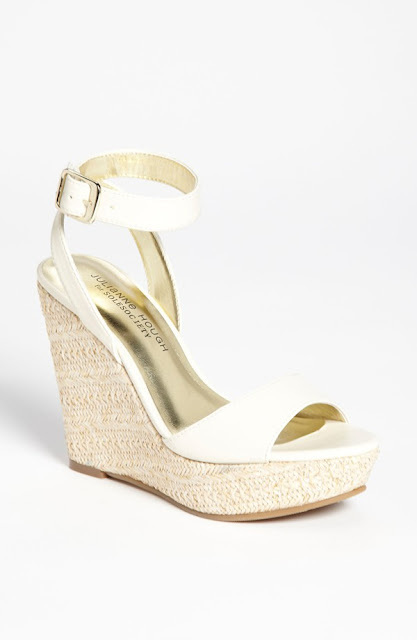 She's here with some fabulous Summer Styles all for $100 or less! Don’t get me wrong: I love a cozy sweater, a fab coat and a chic pair of knee-high boots as much as the next gal, but after months of cold weather, I’m ready to dive head first into summer’s fashion waters. And, now that summer is in full swing, and the heat is hot, hot, hot, the only thing that can cool me down are these five crisp items I’m totally coveting. Bonus! With each priced at $100 or less plus the additional savings I’ll score from ShopAtHome coupons, I may even have money left over for that beach trip we’ve been dreaming about. Here’s to a white hot summer! Totes cool! Headed to the pool or the beach like me? You’re gonna need a tote to carry all your essentials -- you know, sunscreen, Kindle, iPod, jelly beans, US Weekly. This one is cute enough to take shopping, and the studs make it edgy enough to take out at night. Go ahead and make friends, I know I did – I have a feeling we’ll be spending a lot of time together. 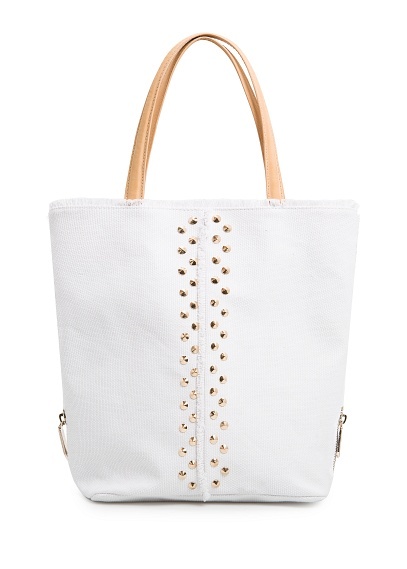 Mango Touch studded canvas shopper, $79.99, mango.com. And to save a couple of bucks make sure you check out the Mango coupons and cash back opportunities. Tennis, anyone? Is there anything as classic style-wise as a crisp, white tennis skirt? I love this office-appropriate spin on the sporty number, with its pretty pleats and longer length. Fashion ace! Banana Republic pleated linen/cotton skirt, $79.99. And don’t forget you can get free shipping. 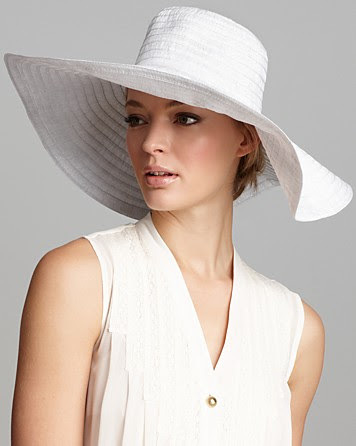 There you have some of my favorite white hot summer looks. Thanks for putting together these looks, Lesley! Have a great weekend, dolls. I look forward to seeing you back here next week. Just a reminder, today is the last day to enter the Oh Buoy Boston Giveaway! I love love love those shoes! So pretty.